Red Letter Revolution undertakes the world-shaping mission to understand how Jesus' words could change everything— if we'd only give them a chance. "This book, by a young and an elderly Christian, will help you decide how we Christians could change the world if we took the ‘red letter’ words of Jesus literally and seriously." "Jesus did not mince words and neither do Shane and Tony. The Good News of the Gospels is that Jesus guides us with lessons that are abundantly clear; there are no ambiguities, no rationalization of war, oppression, wealth, or of the disgraceful economic divide that threatens to consume us. In Red Letter Revolution the uncompromised truth of Jesus' teachings are given voice by two modern-day Christian leaders who do more than preach this Good News. They walk the talk and lead the way." "I started reading this book and couldn't stop. Now Red Letter Revolution travels with me everywhere I go—Rome, Ukraine, Jordan, Lebanon. I read it as a book of spiritual guidance, and urge others to do the same. Thank you, Tony and Shane . . . Thank you for this book. May the movement spread around the world. I thank you for expressing yourselves with inclusive views of our Christianity without any kind of compromising the power of the Lord’s message." 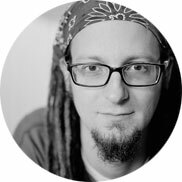 "The conversation between Shane Claiborne and Tony Campolo, well known for their clear evangelical witness on the front lines of poverty, justice, discrimination, and economics in America, is a generous invitation to us to join their conversation as they take the words of Jesus serious, literally, and obediently. Red Letter Revolution is an adrenaline-producing conversation with prophetic bite." "Shane and Tony? Talking freely and honestly about almost everything under the sun-telling stories, quoting stats, giving insights? Seriously? Now that's a book I'd give my friends..."
"I urge every Christ-follower to read my friends' Tony and Shane's new book Red Letter Revolution. If you think they are radical in their thinking about some of the most critical issues of our day, wait until you learn where they have drawn their inspiration...from the Red Letter words of Jesus of Nazareth himself." "What's the most hopeful movement within evangelical Christianity? Let Shane Claiborne and Tony Campolo introduce you ... it's a conversation about issues that really matter today, rooted in the Church's rich history, taking the Bible seriously, and enthralled at every turn with the words and ways of Jesus. If you ever wished you could eavesdrop on a conversation with two of the world's most interesting and inspiring Christians, just turn to page one." "In their own unique ways, Shane Claiborne and Tony Campolo have reinvigorated the debates around life, politics and theology. This is an exciting collaboration and conversation between two people truly committed to living out what Jesus teaches in the Scriptures, and in Red Letter Revolution, they are challenging us to do the same. Both Tony and Shane are friends I deeply respect and admire. This is a must-read book for anyone who is seeking to take Jesus’ call on their lives seriously." 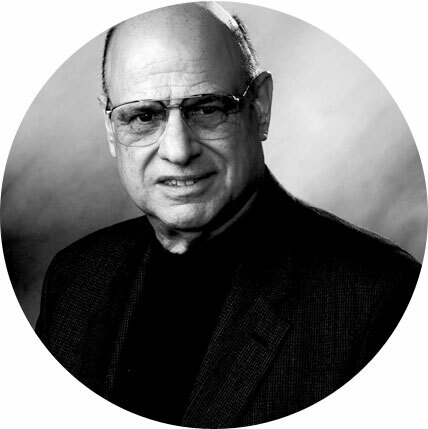 "Eavesdrop on a conversation between two of the Christianity's great storytellers Shane Claiborne and Tony Campolo. Take time to truly glean from the decades of wisdom and service that Tony freely offers as he engages Shane's awe-shucks styled wisdom and joy for life. This book embodies why both continue to be critical voices in today’s spiritual landscape. Well done gentlemen." "Shane and Tony have interpreted well what the gospel really is. They have shown wisdom in choosing the 26 themes and making each one personal. Their sense of humor comes through in their conversations. The book is easy to read, down-to-earth and folksy, but it is not just a surface treatment of important issues. The authors reach down into the depths and make us want to go deeper with them in the spiritual search. This book has done an outstanding job in alerting us to the importance of our ushering in Christ’s new society that lives more faithfully under the true gospel. The time for that new society is now." "Few people have touched the conscience of the church--or that of myself and my own family--like Tony Campolo and Shane Claiborne. But the passion that flows through them that matters most is the passion of Jesus for so many on the margins of life who are urgently loved by the One who--though He was rich--yet He became poor for our sakes. I am grateful for their work and thought and lives. May the words of Jesus grip the world once more with the urgent conviction of impatient love." "I cannot over-emphasize or exaggerate the richness of this book of conversations. Between them, Claiborne and Campolo have given us some of the wisest discussions I have seen to date on a number of subjects, particularly on war, violence, Hell, Islam, and the liturgy, not to mention some of their remarkably keen insights into the history of many of the changes effecting westernized Christianity today." "Shane and Tony's entertaining dialogue inspired me with its wit, integrity and magnificent audacity. Their telling of Bible stories is riveting; it is like hearing each story fresh, anchored in a vision of a world at peace." "Our capacity for continually missing Jesus' message is rather astounding. But worse, we historically replaced it with harmless cultural religion that often was directly at odds with the staggering change of perspective that Jesus offered both individuals and institutions. In this courageous and well crafted book, we have a return to the core message of the Gospel from two Christians who first tried to live it themselves--and only then spoke." 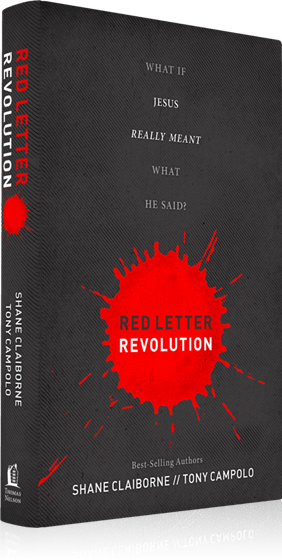 "Shane Claiborne and Tony Campolo are two of the most significant prophetic voices in the Christian world, and Red Letter Revolution is such an exciting and brilliant book that it should be read by people of all faiths and by secular humanists as well. Their interpretation of Jesus' message closely aligns with that of many Jews who are now reclaiming our Jewish prophet from Nazareth as one of our inspiring teachers. Make sure you get this book in the hands of anyone who wants to repair America's economic and political mess—it will give them a spiritual foundation for the healing we desperately need." "Muslims revere Jesus as a messenger of God. In Red Letter Revolution, Shane Claiborne and Tony Campolo demonstrate how Jesus' words and example apply to our broken world today. Claiborne and Campolo remind us that Jesus was the champion of the poor, the despised, and the outcast, rather than the powerful or the wealthy. Muslims have a deep respect for Jesus, and we know the world would be a better place if Christians took his words seriously. This book does just that." "Radical, relevant and urgently important. Good Christians will argue about this or that concrete application. But every Christian should embrace Red Letter Revolution's powerful call for Christians to live what Jesus taught." "What an excellent reminder that the Gospels, among other things, are radical and subversive--Jesus demands that we love our neighbors, and that leads us into the middle of very real life. Shane Claiborne and Tony Campolo do a superb job of making it clear how we can live up to those demands--not easily, but joyfully!" "Red Letter Revolution will challenge you and launch you into our world as an agent of transformation, a pursuer of justice, a lover of people, and an all-out follower of Jesus." "Reading two of my favorite authors banter back and forth about Jesus and the set-apart life challenged me in all the best ways. What does it mean to honor Jesus’ legacy on the mean streets of this world? And how can I be as winsome as Jesus? This book frames a new way of walking out our Christianity and invites us to be different." YES! I am a red-letter Christian. I commit my life to Jesus, and dedicate myself to trying to live as if He meant the things He said. Read the full manifesto. It is time to re-imagine the world and the way we live—the old patterns of politics, economics, and religion that aren't working. It's time for a new kind of Christianity. In Red Letter Revolution, best-selling authors Shane Claiborne and Tony Campolo take on the hardest issues facing our world. They show that Jesus' example is relevant and revolutionary and call us back to a Christianity that looks like Him again. In this ambitious project, they mine the words of Jesus—the "red letters" of Scripture—asking the simple question, "What if we lived out the stuff He said?" "It's time for a new kind of Christianity." From the power in Washington to the poverty in rural towns to the broken systems everywhere else, the world is looking for salvation. But this salvation is not just for people's souls—it's for schools, governments, churches, and families. Red Letter Revolution is about politics, but it's fresh. It's about theology, but it's real. It's about economics, but it's interesting. It's about Jesus, who longs to transform the world despite the embarrassing things His followers have done in His name. For conservatives and progressives, skeptics and believers, Red Letter Revolution undertakes the world-shaping mission to understand how Jesus' words could change everything—if we'd only give them a chance. Shane Claiborne is a best-selling author, Christian activist, speaker, and recovering sinner. Shane writes and speaks extensively about peacemaking, social justice, and Jesus and is the author of several books including The Irresistible Revolution and Jesus for President. Each year he speaks in a dozen countries and nearly every state in the US. His work has been covered by Fox News, Wall Street Journal, CNN, and NPR. 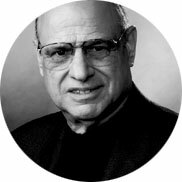 Tony Campolo is professor emeritus of sociology at Eastern University, a best-selling author, a former faculty member at the University of Pennsylvania, and the founder and president of the Evangelical Association for the Promotion of Education. Tony speaks about 350 times a year in the United States and around the globe. He has been a media commentator for a wide variety of outlets, has written more than thirty-five books (the latest of which is Red Letter Revolution), and blogs regularly at redletterchristians.org. A few of his popular books include It’s Friday but Sunday’s Comin, Let Me Tell You a Story, and Following Jesus Without Embarrassing God.